If you’re looking forward to cruising the sunny streets of Cerritos, Los Angeles, and Long Beach in a new midsize sedan, there are two options that may have already caught your eye: the new Honda Accord and Camry. Both vehicles are standouts in their class, but which is the perfect ride for you? Our team at Norm Reeves Honda Superstore Cerritos has put together this 2019 Honda Accord vs. Toyota Camry car comparison to help you weigh your options. Read it and contact us to learn more about these sleek and stylish sedans! If you’re looking for connectivity on the go, the 2019 Accord and 2019 Camry have advanced multimedia systems with many of the latest and greatest features. Both systems offer a standard 7-inch touchscreen (8-inch versions are available) with Bluetooth® wireless technology, so you can make calls without letting your hands leave the wheel. The Accord also has available Apple CarPlay™ and Android Auto™ functions. You can use them to connect your smartphone intuitively and access your messages, music, and apps from the multimedia screen. The Camry’s system is highly advanced, but it doesn’t make these popular features available. In both the Honda Accord and Toyota Camry, generous amounts of front legroom will keep even the tallest passengers satisfied, with each ride offering just over 42 inches. But, in the rear, the Accord’s 40.4 inches of legroom gives you more room to stretch your legs than the Camry’s 38 inches. When it comes to passenger volume, the Honda Accord provides 105.6 cubic feet of room, while the Toyota Camry provides just 100.4 cubic feet. Full-grown adults should feel plenty comfortable in the Accord’s backseat on long rides. Look to the trunk, and the Accord once again has a slight advantage. Its cargo area holds up to 16.7 cubic feet of groceries, golf bags, beach gear, and more, while the Camry has just 14.1 cubic feet in its base trim (and 15.1 cubic feet in each trim thereafter). Simply put, the Accord can carry more of your things. The base I-4 engines in the 2019 Accord and Camry are similarly powerful, but when it comes to torque, the Honda Accord narrowly beats out the Toyota Camry. The Honda Accord provides 192 lbs., while the Toyota Camry provides just 184 lbs. When you need to accelerate from a stop light/sign or merge with express-way traffic, these engines can handle the job. However, test drivers have reported quite a bit of engine noise when accelerating in the Camry, plus road and wind noise when driving at highway speeds. Meanwhile, Accord test drivers have experienced a quiet cabin that blocks out engine and wind noise while speeding up, which makes for a more restful ride. The Honda Accord comes with second-row head restraints as well as an optional Rear Electronic Parking Aid with Camera; none of these safety features are available on the Toyota Camry. When it comes to driver-assistant safety features, these two sedans are pretty well-matched. The 2019 Honda Accord comes standard with the Honda Sensing® safety suite, while the 2019 Toyota Camry comes standard with the Toyota Safety Sense™ P (TSS-P) package. Here, we’ll break down what you’re getting from each of these safety systems. With the Accord you get the Lane Keeping Assist System and with the Camry you get Lane Departure Alert with Steering Assist. Both systems alert you when they sense you swaying out of your lane and provide you with gentle steering assistance. Honda provides the Collision Mitigation Braking System™ and Toyota provides Pre-Collision System with Pedestrian Detection. Both of these features can help you avoid a potential collision through warning alerts and helping to apply brake pressure in the event of an emergency. Here is where the Accord comes out on top against the Camry when it comes to safety features. While this is standard in the Accord, it’s not offered with the Camry. The Traffic Sign Recognition feature improves safety by reminding you of road side information, like the speed limit. To make sure everyone in the car is perfectly comfortable, the Accord provides standard Dual-Zone Climate Control and standard Automatic Climate Control—neither of these features are available with the Toyota Camry. Also standard in the Accord is the Illuminated Vanity Mirror and floor mats. Though the Camry doesn’t have an Illuminated Vanity Mirror available, Toyota does offer floor mats as an add-on for an additional cost. The Accord also offers the available HomeLink® Remote System Universal Door Opener, while the Camry does not. Alloy wheels are standard on the Honda Accord but they’re not even offered as an available addition on the Toyota Camry. In a head-to-head 2019 Honda Accord vs. Toyota Camry car comparison, both midsize sedans offer plenty of features likely to impress shoppers near Cerritos, Los Angeles, and Long Beach. But if you’re looking for advanced infotainment, roominess, safety, and quiet performance, you may find a lot to like in the Honda Accord. Find out whether the 2019 Honda Accord is the perfect ride for you. 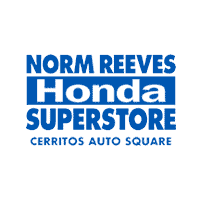 Schedule a test drive at Norm Reeves Honda Superstore Cerritos and get behind the wheel yourself!